Lynda Moore – How Do You Choose Your Security Contractor? Home » Featured News »	Lynda Moore – How Do You Choose Your Security Contractor? 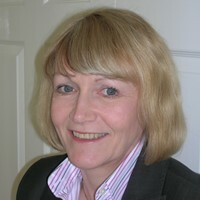 Lynda Moore, a Partner in the Consultancy, FM Contract Watch writes for Infologue.com about selecting a security contractor. Lynda writes: “When it is time to choose your new Security Company to protect your premises, staff and members of the public, the choice of contractor is vast. It is estimated that there are approximately 2,000 contract security companies currently trading in the United Kingdom, so how do you know which one will be the best to fulfil your security needs? As of the 30th June 2015, there were 798 companies holding Security Industry Authority Approved Contractor Status (SIA ACS), but the surprising figure is that of these 798 companies almost half -365 – are in the bracket of micro and small companies. Micro companies employ up to 10 licensable staff and small companies 11 to 25 licensable staff. The largest band of approved companies, 365, appear in the medium sized band with a licensable workforce of between 26 and 250 staff and just 68 companies employ over 250 licensable staff. So how do you choose which company is best for your contract? Certainly, it makes sense to engage a company with Security Industry Authority Approved Contractor status, the recognised hallmark in the private security industry. But where do you go from there? Is it being in the top 5% of the ACS (Infologue’s Star Performers), the Infologue top 20 (based on annual turnover), the top 15% of the ACS (The ACS Pacesetters) or membership of one of the trade associations (BSIA and IPSA). All of the above are relevant, but another important factor is the value of your contract. If you have a national requirement it makes sense to contract with the larger companies who have branch offices and self-deliver the service; however, if you have a 168 hours or a 336 hours contract, your business is going to be much more significant to the regional company. Cost is also going to be an important factor, but if you go for the cheapest option with the lowest margins, are the company going to be able to keep their promises regarding training, management support, etc? It may all sound good at the tender presentation, but is it realistic? Thought should be given to terms and conditions of the Security Officers, if the price is so low that they are paid minimum wage for 60 hours per week, are they going to be motivated enough to provide the service you require? Low wages and low margins are never going to be the answer. It is essential that you obtain references from companies that have engaged the contractor on a similar sized contract to your own and, even better if, you can visit at least a couple of sites to see the service for yourself. A 10 minute talk with a Security Officer may give you much more valuable information than the glossy brochure, website and slick presentation by the business development team. It is also important to meet the Manager, who will actually be responsible for your contract, find out how many contracts he has within his portfolio and the area this covers. Is it realistic for him or her to visit your site regularly and provide the support that it will need, especially during the mobilisation period? Some organisations ask for the contractor to have their ACS reports available at the tender presentation; this can demonstrate where the company has strength as well as identifying any areas of weakness. It may be that they excel at training, but only reach the bare minimum for a something which you may feel is equally important to your contract. It may appear to be the safest route to contract with one of the major players in the industry and, if you have a national contract that may well be the case. However, the largest group within the ACS are those regional companies who can offer the personal service from local management to the smaller contracts. So we believe it is best to base your decision on the size of your contract and the value you are to your new supplier. It is unwise to pay too much, but it is worse to pay too little. The common law of business balance prohibits paying a little and getting a lot, it cannot be done. If you deal with the lowest bidder, it is well to add something for the risk you run, and if you do that you will have enough to pay for something better! Lynda Moore – Who makes a good Security Officer?